SAND4U is your first choice for building and landscape supplies in Bankstown. Whether it be a backyard make-over, new home, multi-residential development or major civil works, we are ready to assist. No project is too big or too small. Sand4U stocks sands, soils, gravels, cements, mulches, decorative pebbles, hardware, bricks, blocks, lintels, dampcourse, turf and much more. We are the supplier of choice for the civil, construction and landscape industries, and supply builders, developers, shop fitters, owner builders, and the general public in the Bankstown area. 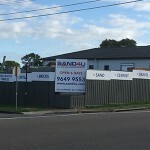 Sand4U provides building supplies across the entire Bankstown area, including Bass Hill, Yagoona, Greenacre, Mount Lewis, and Condell Park. If you are in the Bankstown area, you are welcome to pick up your supplies from our yard. Our friendly team and custom facilities are here to help get you in and out quickly and easily, so you can get on with the job! Whether you need a pre-packed 20KG bag of sand, a box trailer of soil, a truck load of gravel, a nut, a bolt, a bag of cement or one of the many products we stock, our friendly team is here to help you with all of your pickup requirements. We are open 6 days a week, so there is plenty of time to drop in, meet the team and get advice or a quote for your next project. Otherwise, simply get in touch by email or give us a call. Delivering Sydney-wide 6 Days a week from 6.30am – 5.30pm, our fleet of trucks offers various delivery options to suit your needs. Our trucks are tracked via GPS Satellite tracking so we know where your load is at any point in time. We specialise in delivery of materials anywhere, anytime 24 hours, 7 days a week to Bankstown and all Sydney metro sites. 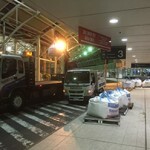 Whether you require materials to a shopping centre after closing hours or a major road project, we can make it happen. We service many shop fit-out companies, civil contractors and emergency response companies, across the Bankstown area and greater Sydney. SAND4U Building and Landscape Supplies has been servicing the building industry for almost 100 years. We have grown and evolved with the developing construction industry and today service the demands of many large-scale projects, trades people, general public and DIY renovators. We understand that the Construction industry in the City of Canterbury Bankstown has the largest number of total registered businesses (2016, Australian Bureau of Statistics). As building and construction has grown in the Bankstown area, SAND4U has expanded to meet the needs of the industry. Our company culture is focused on expert advice, personalised service, competitive pricing and an on time, all the time delivery policy. 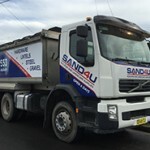 SAND4U is the trusted building supplies provider for Bankstown.